As the second phase of Lok Sabha Elections 2019 now begins, on Thursday, 18 April, Google is welcoming users to its browser with a doodle. However, the doodle does not just remind users to vote, but it does more than just being an aesthetic on the search engine, by answering all possible FAQs related to voting. When to vote, where to vote, how to vote, how to get your name on the voters' list, and all other such questions have been addressed by Google. 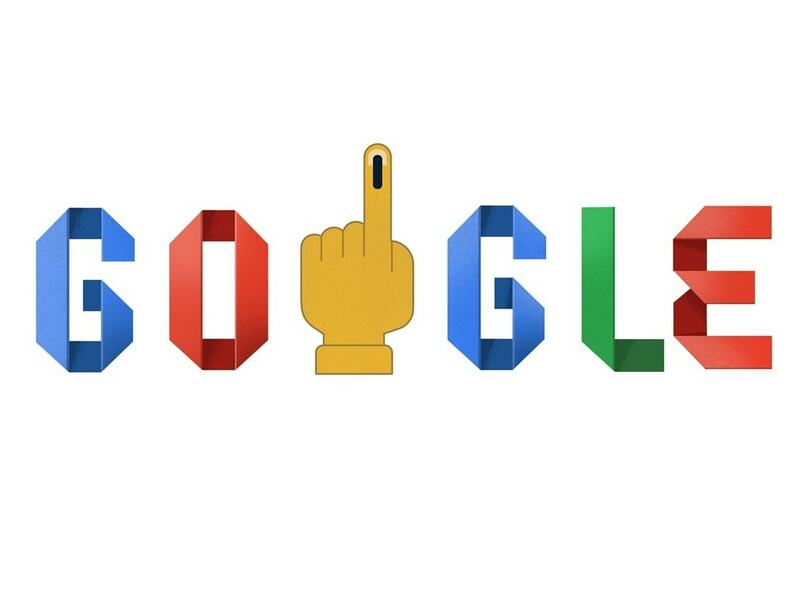 When you click on the doodle, it leads you to a quick guide on 'How to vote' during these Indian general elections, 2019. It has information on the voting process at the polling booth, details of voter helpline in case a citizen finds that their name is not on the voting list, finding out where to vote, and the dates for the voting days for different regions. Do note, you can only vote if your name appears in the Voter List aka Electoral Roll. You can also refer to our Election Search Engine. Google Doodle tells you 'How to vote'. Voting for 543 Lok Sabha seats will be held in seven phases: 11 April, 18 April, 23 April, 29 April, 6 May, 12 May, and 19 May. Counting will begin on 23 May. On 11 April, which is today, voting will be held in the states of Andhra Pradesh, Arunachal Pradesh, Meghalaya, Uttarakhand, Mizoram, Nagaland, Sikkim, Lakshadweep, Andaman and Nicobar Islands, and Telangana, along with parts of Assam, Bihar, Chhattisgarh, Jammu and Kashmir, Maharashtra, Manipur, Odisha, Tripura, Uttar Pradesh and West Bengal.